Happy hour in Coral Gables? 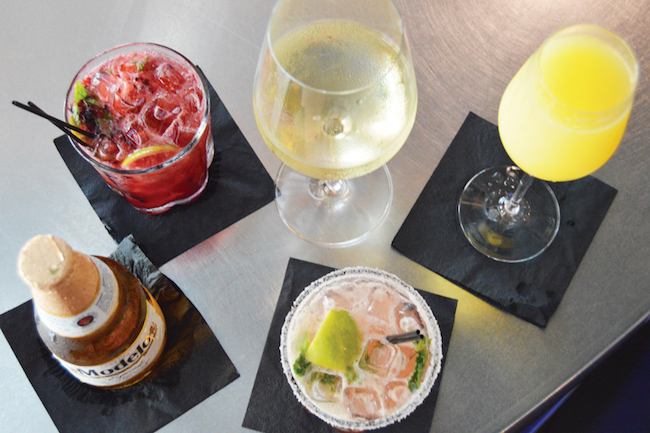 More like the happiest hour! Yes, dear readers, it’s that time of the day where the meetings have been had, your boss has left for the day, and the alcohol is pretty much FREE! Coral Gables professionals, you know the drill. For the rest of you, there’s this easy guide of the best spots to get your drink on—on a budget. Happy hour in Coral Gables is everyone’s favorite time of day. Scroll on to get the deets. Tarpon Bend- By now, Tarpon Bend is a CG staple, and the main reason is their legendary late night happy hour. Almost everyone in Miami has started their night at Tarpon bend for their 2 for 1 drink specials. It’s like, hello? Have you even been to Miracle Mile? • Drinks2 for 1 Beer and Wines under $11, Big Fish Drinks! Doc B’s- Competing for number 2 best place is the newest Gables hot spot, Doc B’s Fresh Kitchen. If you’ve been, then you know their deals on drinks and happy hour bites are legit. Plus, they offer bacon as a bar side treat. BACON? Yes, bacon. Do yourself a favor and go for the bacon alone. Plomo Taco Bar- Cha cha cha! Pass me a margarita and some guac, please. If you’re looking for some seriously good deals for drinks, you have to stop here. $6 margaritas? $30 pitchers? Sign me up! And bring over some tacos while you’re at it. The Bar- The Bar on Giralda is a classic. Even when construction was happening on the now famous walk-through street, people were still making it over to The Bar for their happy hour. At The Bar, you can expect all sorts of Coral Gablians enjoying their simple but effective happy hour menu: frat bros, post-work professionals, girl’s nights out, and everyone in-between! Next round’s on me, guys! Fridays, ladies drink free well cocktails and Yuengling drafts from 5:30 to 7:30 p.m.
Fleming’s- I don’t want to get too bougie on you guys, but we are talking Coral Gables here, so a steakhouse or two is on the menu. Get the upscale dining experience at half the price. $6-$8 drinks, $10 burgers. Dress up to look the part but order on a budget every weekday from 5 to 7 PM! Monday through Friday, 5-7 p.m.